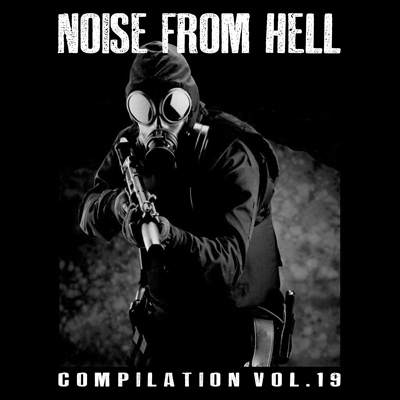 NOISE FROM HELL COMPILATION VOL.19 featuring ABLERTRIBE (Malaysia), ΑΠΝΟΙΑ (Greece), ARQUIVO MORTO (Brazil), BENYAH LATIG (Indonesia), BIFFERS (Italy), DOWN ROAR (Brazil), ESCAPEFROMHELL (Indonesia), HERSCHELL CRUSTOFSKY (Argentina), IMPIOUS LAIR (Brazil), INVALID BRAIN (Indonesia), KÜIPROKÜÓ (Brazil), MISANTHROPIC NOISE (USA), PROTEST CRUSH (Indonesia), RECOVERY (Netherlands), SORRY STATE (USA), SUCKERPUNCH (Germany), THE SYMBOLIST (Portugal), TÚMULO ABERTO (Brazil), WAR ATTACK (Indonesia) and WARNNIHILATION (Brazil). 07. Down Roar - Qual é a sua causa ? 09. Escapefromhell - Work for Life or Life for Work?